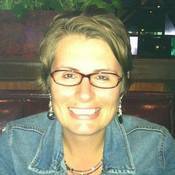 Leigh Lennon – MUST LOVE COFFEE plus an Amazon Gift Card! 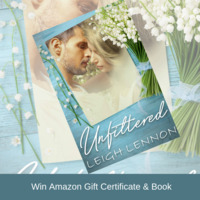 Leave a comment today on Leigh Lennon's guest post for a chance to win a $10 Amazon Gift Card and a copy of UNFILTERED. My life is run with precision with little regard for others until a woman in crazy clothes challenges me to be a better father. She's one of the few people that puts me in my place and maybe for this very reason--I want her more than I can articulate. With her failed marriage and list of requests she needs from her next partner, I know she's my future. My life is less than perfect, and with it--baggage that follows me everywhere. Does she want my kind of crazy in her life? You must leave a comment on Leigh Lennon's guest post to win.